Dream Home Property Solutions, LLC is a local, family owned business located in Ventura County. We help Moorpark homeowners who want to sell their house quickly and easily, for cash. If you are looking to sell your house fast, and want to avoid the hassles of listing your house with a realtor and putting it on the market, we are the perfect solution for you. We are very easy to work with and our goal is to create win-win situations. And if we are not the perfect fit for you and your situation, we will gladly refer you out to other real estate professionals who may be a better fit. Reach out to us today at 805-250-8335. You can also send us an email to Info@DreamHomePS.com or fill out the form at the top of the page. We help people in Moorpark come up with creative solutions to sell their house fast. We want to buy your house directly from you and pay you cash. We will buy houses in any condition, including condos, single family homes, townhomes, duplexes, triplexes, vacant homes, empty lots, and manufactured homes. We will even buy small apartment buildings. It doesn’t matter the location or the price range. If you have a house you want to sell, we want to buy it. Some people have a hard time believing that someone will really buy their headache property from them, for cash. Below are some of the questions that you may be having as well. We understand that every homeowner is different, so we begin by trying to understand your unique situation. We then normally present multiple offers to you so that you can choose the one that is the best fit for you. Some examples of the offers we present include paying cash for your home and closing quickly or buying your house on terms so that you receive steady monthly payments instead of one big lump sum. When you sell your house directly to us, there are no fees or commissions. In most cases, we even pay all of the closings costs. Why should I sell to you instead of listing with a real estate agent? As stated above, when we buy your house, you will not have to pay any commissions. 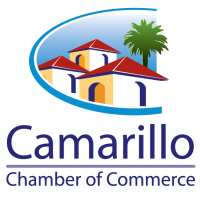 Commissions in Ventura County can range from 5% – 6%. 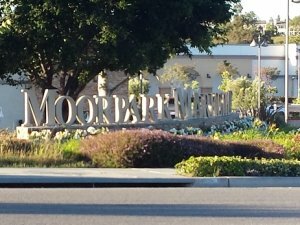 With the average sales price of a Moorpark home currently at $675,000 (as of this writing), that’s anywhere from $33,000 to $40,000 in commission. When we buy your house, that is extra money in your pocket. Other benefits of selling to us include a quick close (or on your timeline) and not having to clean, repair, or upgrade your home. Will you buy rental properties? Yes, we are more than happy to buy your rental property. We will even buy your property that is currently occupied with tenants. Even if they are problem tenants, we will still buy the house and handle the eviction ourselves. We can close in as little as 10 days. If a quick close is not something that you want or need, we can close whenever you want, even if that is weeks or months down the road. What if my house is currently under water? In these situations, things can get a little more complicated. Depending on market conditions, your lender may or may not want to see your house listed on the open market before authorizing a short sale. In any case, we have experience working with banks and negotiating short sales. Even if we are not given the green light to buy your house directly from you, we will be more than happy to work with you throughout the short sale process to help you get your house sold. Give us a call today so that we can get started helping you sell your house for cash. Or if you just have questions about buying or selling a house in general, we would love to talk to you and answer any questions you may have. Our main goal is to help Ventura County residents with any and all of their real estate needs. As mentioned above, you can fill out the form at the top of the page, send us an email to Info@DreamHomePS.com or give us a call at 805-250-8335. We look forward to working with you.